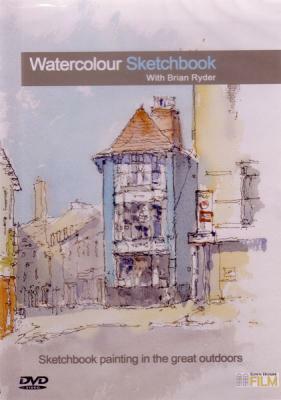 Brian Ryder believes passionately in keeping a watercolour sketchbook. He feels there is simply no substitute for making paintings on the move out and about. Keeping a watercolour sketchbook provides a fantastic reference for bigger paintings in any media and Brian feels that watercolour is just the perfect medium for quick and atmospheric studies. 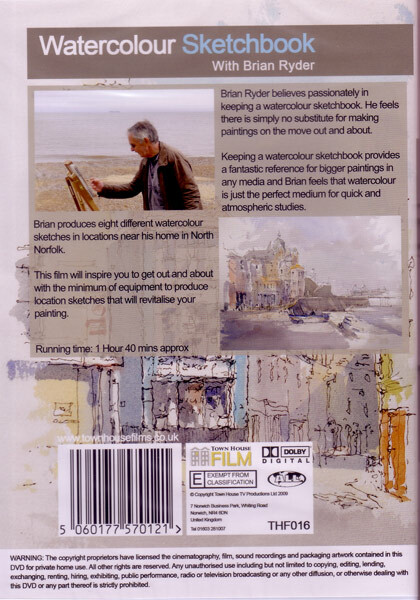 In this DVD Brian produces eight different watercolour sketches in locations near his home in North Norfolk. This film wil inspire you to get out and about with the minimum of equipment to produce location sketches that will revitalise your painting. I spent some time away from my painting with other things to see to first. But after watching this DVD, it had me up and back on the easel in no time at all. One of the best DVDs I have in my collection.